Electronic World are proud to offer an extensive range of cheap LCD TVs at the very best prices. We stock models from a range of leading brands too, including the likes of Sony, Panasonic and Toshiba, so we're confident that we can provide the right TV for you. Our collection of cheap LCD TVs includes an impressive selection of full HD LCD TVs. These models combine a beautiful picture quality with a sleek and stylish design, making them a perfect option for any home. We also stock a wide range of LCD HDTVs too. These televisions offer breathtaking imagery and a fantastic viewing experience, making them a highly popular choice. At Electronic World all of our cheap LCD TVs, including our full HD LCD TVs, are available at highly competitive prices - so with us, purchasing the TV of your dreams is both easy and affordable. You’re no doubt wondering how we’re able to offer such great cheap TV deals, but truth be told, the answer is really rather simple. 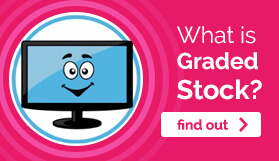 The TVs we offer are all what is known as 'graded stock'. Graded TVs are TVs which high street retailers can't sell for various reasons. They may be excess stock, a 30 day customer return, have damaged packaging or they might even simply be end of line models. For whatever reason, the high street store can't sell them and they then come to Electronic World, where we fully test all items before finding them a new home. 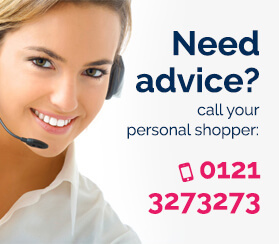 All the cheap LCD TVs we offer come with a full 12 month 'return to base' warranty, giving you the peace of mind that, should anything go wrong, you're fully covered just as you would be if you'd bought on the high street. The only difference when purchasing through Electronic World is that you'll get the TV you want at a much lower price! That's why if you are in need of a high quality TV, Electronic World should be your first choice. 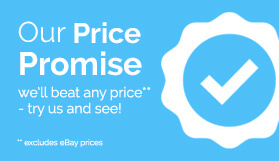 For more information about our cheap LCD TVs and the range of options that we offer, make sure to browse our website or contact a member of our friendly team today.